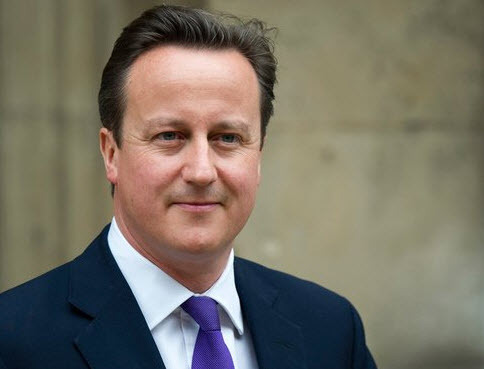 We welcome the speech of the Prime Minister and the need to tackle both non-violent and violent extremism. The Prime Minister’s approach to identifying the problem and putting in measures where grievances are both addressed and tackled was delivered in a heartfelt and robust manner. The Prime Minister also made clear that wider issues such as employment and training opportunities should be made available to young people as a means of giving them confidence in themselves and this progressive stance should be welcome by those working in the field of tackling extremism. We also welcome the picture that the Prime Minister drew of those who use conspiracy theories to corrode trust between the State and Muslim communities. Through the work we have done on tackling extremism, we have on numerous occasions come across such theories which suggest that organisations working on Prevent (Preventing Extremism), are extended versions of the Government’s intelligence agencies. Such smears, thrown at progressive organisations working in the field of Prevent, simply create a ‘them and us’ fuelling a narrative that the Government is somehow the real problem, whilst failing to address the dangerous phenomena of a small number of young Muslim men and women being drawn to ISIS and other extreme groups. However, the oversimplification of the drivers towards radicalisation risk alienating swathes of British Muslims. Positing ideology as the main driver overlooks a multitude of factors that drives individuals towards violent extremism. In our far-reaching report on the Prevent strategy we caution that “The 2011 Prevent strategy fixates on ideology and religiosity at the expense of understanding propensity for violence. It excludes and isolates groups that do not fit into its narrow definition of ‘British values’. By operating through a highly centralised approach to disrupting extremists, the Prevent strategy runs the risk of deteriorating the healthy liberal public sphere deemed necessary to opening counter-speech and debate that can challenge the intellectual basis of genuinely violent extremist opinions”. We also welcome the Prime Minister’s comments about challenging individuals who peddle conspiracy theories of ‘Islamisation’ and race hate. On the issues of alienation, a search for identity and political grievances, we believe that projects that provide a ‘safe space’ for such discussions should be supported. Offering individuals a ‘safe space’ to discuss these issues in an inclusive manner creates two opportunities: to challenge these “grievance justifications” and let individuals speak without fear of censor. Without these spaces we potentially drive young people into the dark parts of the internet. This speech is the start of a wider government response to radicalisation. A response that includes the Home secretary refusing to rule out the possibility of British troops and tanks being deployed against ISIS militants. It is a debate that contains both a domestic and international flavour. Moving forward requires partnerships; not a top-down approach towards Muslim communities. Overall though, this is a strong start where muscular liberalism is at the heart of the strategy.